Simon & Schuster Books for Young Readers, 9781481405362, 944pp. Tom Sawyer. Huckleberry Finn. Becky Thatcher. Three sets of unforgettable, illustrated adventures are available in one collectible boxed set! 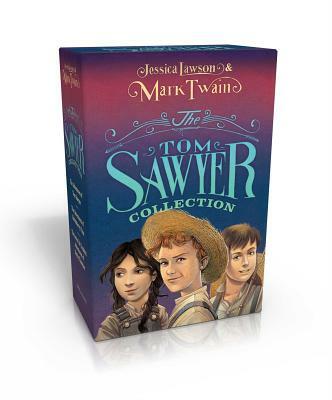 This collectors’ quality boxed set features brand-new hardcover editions of The Adventures of Tom Sawyer and The Adventures of Huckleberry Finn as well a new addition to Mark Twain’s beloved folklore: The Actual & Truthful Adventures of Becky Thatcher by Jessica Lawson.